We know there’s a problem. What can be done about it? That’s the question The Current hoped to answer for the Highlands. Last year, drug overdoses – the most visible marker of the epidemic – killed 64,000 Americans, a 22 percent increase over the year before. About 15,400 of those deaths involved heroin, 20,000 involved fentanyl (a synthetic that is 50 to 100 times more powerful than morphine) and 14,400 involved prescription painkillers, according to preliminary federal data. 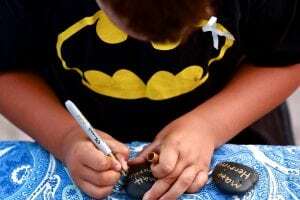 On July 31 a commission assembled by President Donald Trump to address the crisis made an urgent recommendation that he declare a national emergency, noting that the overdose death rate in the U.S. has reached the equivalent of 142 people per day. The problem is not far away. Dutchess and Putnam counties together have an overdose death, on average, about every four days. Statewide, about seven people die each day. 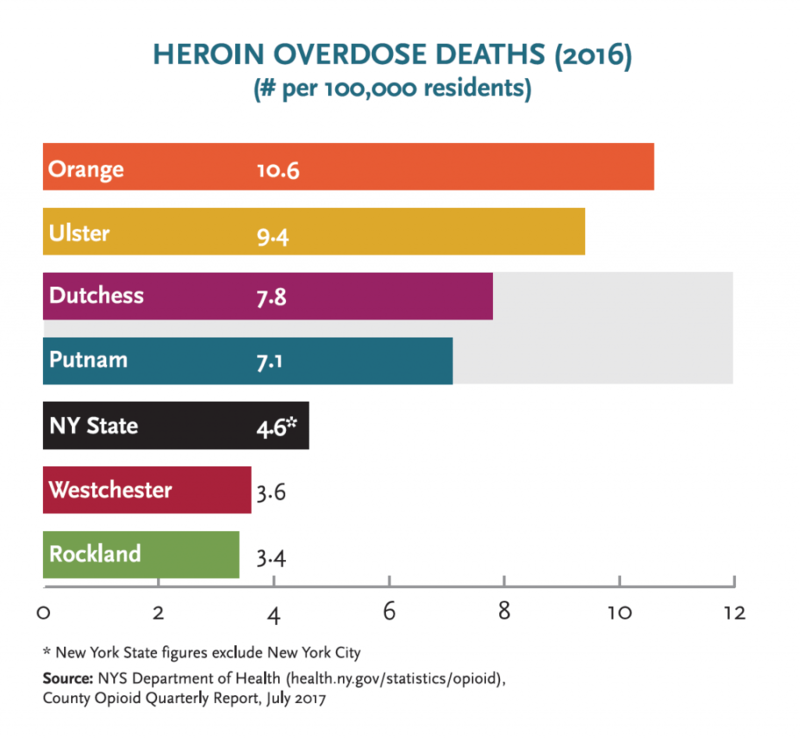 From 2013 to 2015, Dutchess had the second highest rate of overdose deaths per capita in the state (trailing nearby Sullivan County); Putnam was in the middle of the pack, but the rates in both counties were higher than those of New York City or the state. On Aug. 18, Forrest Ryzy-Ryski, a 2011 graduate of Haldane High School in Cold Spring and a talented artist, writer and martial arts fighter, became the latest casualty when he died of a heroin overdose in Georgia, where he was attending Kennesaw State University. He was 23. Overdoses have become the leading cause of death for Americans under 50, outpacing assault and suicide. They kill more Americans each year than die in auto crashes or gun violence. They are killing people faster than H.I.V. ever did. And the addition of fentanyl to the mix with heroin has made the epidemic even deadlier. When fentanyl showed up in the Hudson Valley in late 2013, there were 68 heroin overdoses in Poughkeepsie in less than two months. 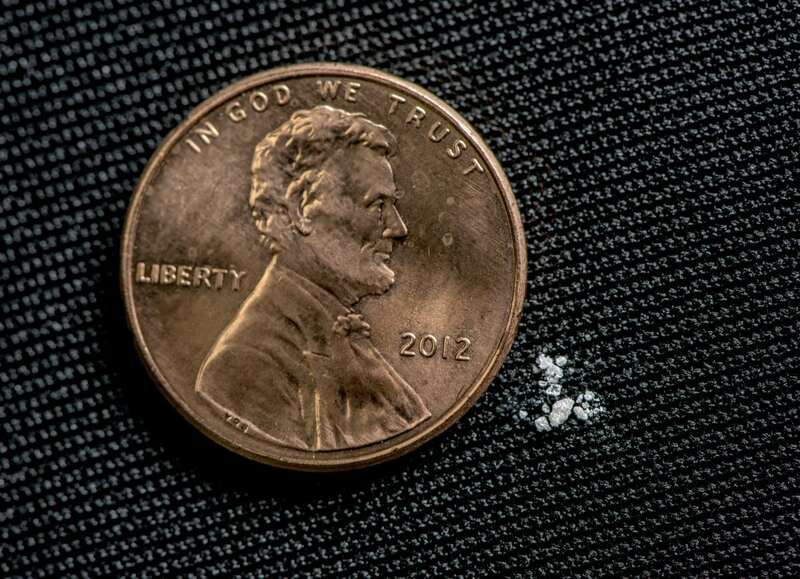 Fentanyl is widely used in medicine; much of what is found on the street is manufactured in illicit labs in China and Mexico. Why wait for a poppy to grow? 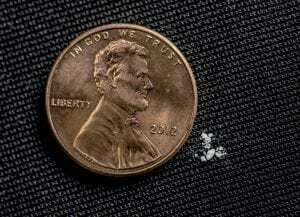 A lethal dose is about 2 milligrams, which looks like a few grains of salt. It is so potent that police officers can be sickened during drug busts. And dealers are now importing the even more deadly carfentanil, an elephant tranquilizer that is 10,000 times more powerful than morphine, to mix with heroin. Chinese suppliers sell 2 pounds of the drug – enough for 50 million doses – for about $2,750. According to a federal report released last month, nearly 600,000 teenagers and adults in the U.S. are addicted to heroin, and more than 2 million to prescription painkillers. Doctors in Putnam County write 50,000 prescriptions annually for opioids; in Dutchess, it’s 165,000, both at per-capita rates higher than New York City or the state at large. Most states, including New York, have cracked down on doctors who overprescribe, but that forces many addicts to turn to street drugs, whose potency is harder to measure. Click here for a chemistry lesson on heroin, fentanyl and Narcan. 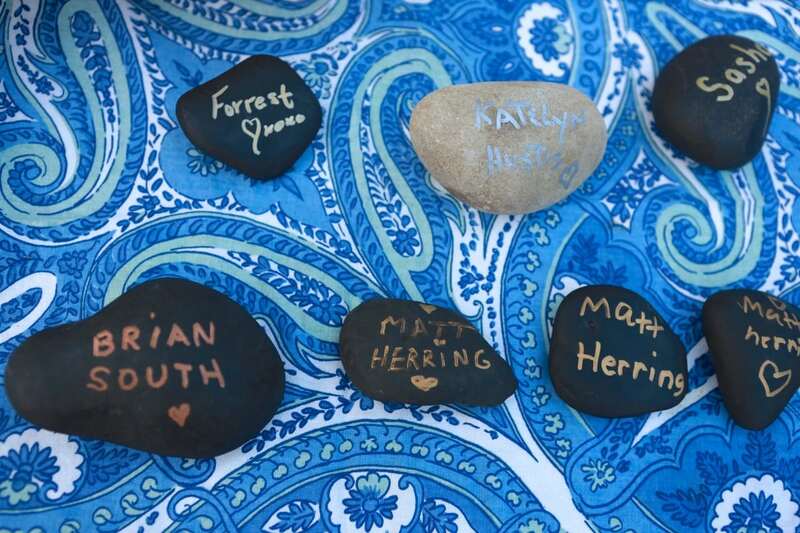 To find out more about the fight against opioid addiction in the Highlands, The Current created an enterprise journalism fund with initial contributions from members of our board of directors. Their support allowed our writers, photographers and designers — Chip Rowe, Scott Veale, Michael Turton, Liz Schevtchuk Armstrong, Jeff Simms, Anita Peltonen, Kate Vikstrom, Lynn Carano, Ross Corsair and Brian PJ Cronin — to spend more time on this project than they would for a typical news story. We hope to address other national issues of local importance in the near future. 3 Responses to "Fighting Back: The Opioid Crisis (Part 1)"
The only way this problem is going to be satisfactorily solved is with the return to truly secure community. The sense of security and community in America has been destroyed; it’s been replaced by insecurity, alienation and anger. Much of this occurred in just over the past 100 years or so through the ubiquity of the automobile, by suburbanization in housing with its many ramifications, via the advertising industry with its imperatives of instant gratification, impulsive consumerism and consumer debt, by the emergence of the two-earner family and the two or even three job part-time survival economy, by the glorification of drug abuse and personal irresponsibility constantly on display in the media and especially in the film industry, by an endless and meaningless state of war concomitant with the rise of militarism, and yes, by a rebellion against what good there was within “traditional” American cultural values. All of this in the name of social control. Despite the heroic efforts of a relatively few dissidents (cranks and counterculture idealists) and intellectual and social critics, including the impressive though sometimes ineffective or even counterproductive efforts over decades of a number of locals in Beacon, Cold Spring and other nearby municipalities (I don’t need to mention names here), the fact remains: Americans are at a loss for community. Wasted lives, pain, dismay, and worse, result. This is an amazing article/report – well-researched and written — and I hope the writers get a prize or some recognition for their work. 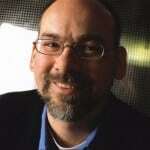 I know firsthand about the nightmare of addiction. 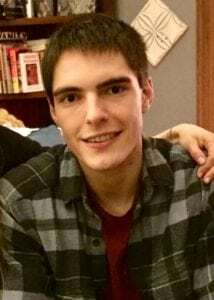 We lost a family member a few years ago to a heroin overdose that occurred after he had actually been clean for a few months after a lifetime in and out of rehabs. He was just 32 years old and had struggled all his life in much the same way as the young people in this article. My heart goes out to the families in this article and I hope that for their own sake, they find a good support group to help them. If you look at the science behind the “disease” model of addiction and alcoholism, you can see the genetic component of both. Addicts, whether they are addicted to heroin, alcohol or some other substance, are not hard-wired the same and have a different reaction to alcohol and other drugs. Once they take that first drink or shoot up or take that pill, all bets are off — they simply can’t stop. It’s like their on/off switch is broken. We should also realize the people have been experimenting with different ways to get high since time immemorial. Whether it was fermented beverages, magic mushrooms, marijuana or LSD, there is a time in almost everyone’s life when they are going to try something. Back when we were growing up in the 1950s and ’60s, it was mostly beer and cigarettes which were easy to get and relatively safe because they were regulated. You knew what was in them and there was little or no chance you were going to die if you smoked or drank. Fast forward to the current generation — as my nephew once told me, it’s easier to get heroin than it is to buy cigarettes or beer! I’m sure that’s still the case and it makes me wonder if maybe we as a society should ease up on the regulations for these relatively benign substances. 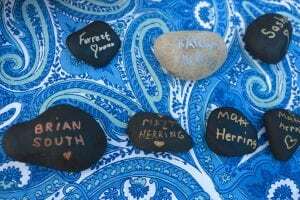 As we lose more and more of our young people to heroin, pills and other drugs that are potentially lethal even in microscopic doses, I truly believe that this is a useful conversation we should be having as a society. Let’s be honest — young people are always going to experiment at some point early on. I think we all did. Personally, I would rather see them try cigarettes or booze than take a chance of dying because they got a “hot shot” or were ingesting something that could kill them, when the time comes that they are going to experiment. There are no easy solutions to this problem and I commend everyone involved in this story for their honesty and hard work in getting the word out. This is a useful and moving report. It can be used as a springboard for conversation with family and friends. Thank you for writing about such an important issue.